Opioid receptor antagonists increase hyperalgesia in humans and animals, which indicates that endogenous activation of opioid receptors provides relief from acute pain; however, the mechanisms of long-term opioid inhibition of pathological pain have remained elusive. We found that tissue injury produced μ-opioid receptor (MOR) constitutive activity (MORCA) that repressed spinal nociceptive signaling for months. Pharmacological blockade during the posthyperalgesia state with MOR inverse agonists reinstated central pain sensitization and precipitated hallmarks of opioid withdrawal (including adenosine 3′,5′-monophosphate overshoot and hyperalgesia) that required N-methyl-D-aspartate receptor activation of adenylyl cyclase type 1. Thus, MORCA initiates both analgesic signaling and a compensatory opponent process that generates endogenous opioid dependence. Tonic MORCA suppression of withdrawal hyperalgesia may prevent the transition from acute to chronic pain. Opioids are the most commonly used and effective analgesic treatments for severe pain, but they have recently come under scrutiny owing to epidemic levels of abuse and overdose. These compounds act on the endogenous opioid system, which comprises four G protein–coupled receptors (mu, delta, kappa, and nociceptin) and four major peptide families (β-endorphin, enkephalins, dynorphins, and nociceptin/orphanin FQ). In this review, we first describe the functional organization and pharmacology of the endogenous opioid system.We then summarize current knowledge on the signaling mechanisms by which opioids regulate neuronal function and neurotransmission. Finally, we discuss the loci of opioid analgesic action along peripheral and central pain pathways, emphasizing the pain-relieving properties of opioids against the affective dimension of the pain experience. Cellular interactions between delta and mu opioid receptors (DORs and MORs), including heteromerization, are thought to regulate opioid analgesia. However, the identity of the nociceptive neurons in which such interactions could occur in vivoremains elusive. Here we show that DOR-MOR co-expression is limited to small populations of excitatory interneurons and projection neurons in the spinal cord dorsal horn and unexpectedly predominates in ventral horn motor circuits. Similarly, DOR-MOR co-expression is rare in parabrachial, amygdalar, and cortical brain regions processing nociceptive information. We further demonstrate that in the discrete DOR-MOR co-expressing nociceptive neurons, the two receptors internalize and function independently. Finally, conditional knockout experiments revealed that DORs selectively regulate mechanical pain by controlling the excitability of somatostatin-positive dorsal horn interneurons. Collectively, our results illuminate the functional organization of DORs and MORs in CNS pain circuits and reappraise the importance of DOR-MOR cellular interactions for developing novel opioid analgesics. 2. Corder, G*, Tawfik, VL*, Wang, D*, Sypek, ES*, Low, SA, Dickinson, JR, Sotoudeh, C, Clark, JD, Barres, B, Bohlen, C Scherrer, G. Loss of μ-opioid receptor signaling in nociceptors, and not spinal microglia, abrogates morphine tolerance without disrupting analgesia. Nature Medicine. 2017 Feb; 23(2):164-173. doi: 10.1038/nm.4262. 3. Wang, D, Tawfik, VL, Corder, G, Low, SA, Basbaum, AI, Scherrer, G. Functional Divergence of Delta and Mu Opioid Receptors Organization in CNS Pain Circuits. Neuron. 2018 Apr 4;98(1):90-108.e5. doi: 10.1016/j.neuron.2018.03.002. 4. Manglik, A*, Henry, L*, Aryal, DP*, McCorvy, JD, Dengler, D, Corder, G, Bernat, V, Huang, X, Sassano, MF, Giguere, PM, Levit, A, Lober, S, Hubner, H, Duan, D, Scherrer, G, Kobilka, BK, Gmeiner, P, Roth, BL, Shoichet, BK. Structure-based discovery of biased μ-opioid receptor analgesics with reduced side effects. Nature. 2016 Sep 8;537(7619):185-190. doi: 10.1038/nature19112. 5. Rowe R, Ellis G, Harrison J, Bachstetter A, Corder GF, Van Eldik L, Taylor BK, Marti F, Lifshitz J. Diffuse traumatic brain injury induces prolonged immune dysregulation and potentiates hyperalgesia following a peripheral immune challenge. Molecular Pain. 2016 May 13;12. doi: 10.1177/1744806916647055. 6. Taylor, BK, Fu, W, Kuphal, KE, Stiller, CO, Winter, MK, Chen, W, Corder, GF, Urban, JH, McCarson, KE, Marvizon, JC. Inflammation enhances Y1 receptor signaling, neuropeptide Y-mediated inhibition of hyperalgesia, and substance P release from primary afferent neurons. Neuroscience. 2014 Jan 3;256:178-94. doi: 10.1016/j.neuroscience.2013.10.054. 7. Corder, G, Doolen, S, Winter, MW, Jutras, BL, He, Y, Hu, X, Wieskopf, JS, Mogil, JS, Storm, DR, Wang, ZJ, McCarson, KE, Taylor, BK. Constitutive µ-opioid receptor activity leads to long-term endogenous analgesia and dependence. Science. 2013 Sep 20;341(6152):1394-9. doi: 10.1126/science.1239403. 8. Solway, BM, Bose, S, Corder, G, Donahue, R, Taylor, BK. Tonic inhibition of chronic pain by Neuropeptide Y. PNAS, USA. 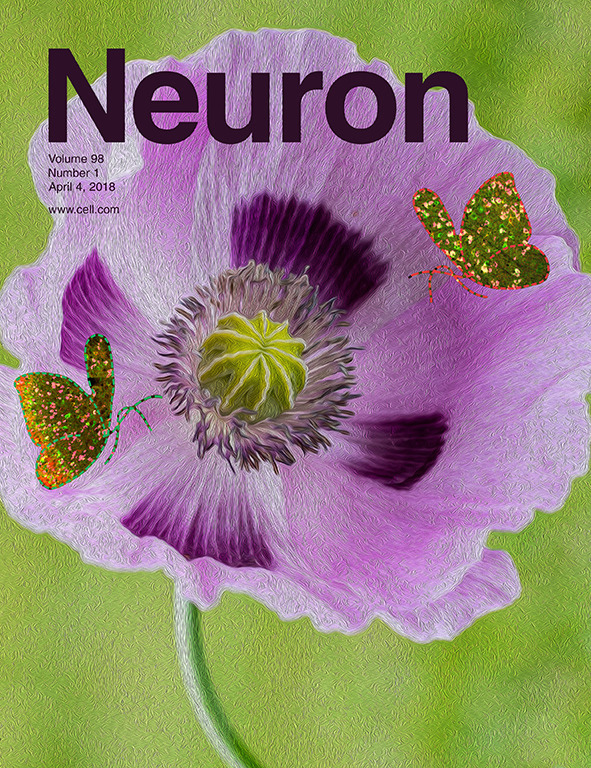 2011 Apr 26;108(17):7224-9. doi: 10.1073/pnas.1017719108. 9. Corder, G, Siegel, A, Intondi, AB, Zhang, X, Zadina, JE, Taylor, BK. A novel method to quantify histochemical changes throughout the mediolateral axis of the substantia gelatinosa after spared nerve injury: characterization with TRPV1 and substance P. Journal of Pain. 2010 Apr;11(4):388-98. doi: 10.1016/j.jpain.2009.09.008. 11. Taylor, BK and Corder, G. Endogenous analgesia, dependence, and latent pain sensitization. Current Topics in Behavioral Neuroscience. 2014 Sep 17. doi 10.1007/7854_2014_351. PMID: 25227929.